Welcoming your newborn into the world is one of those special moments in life which you’ll never forget. So whether you’re planning a baptism, christening or naming day ceremony, we’ve got plenty of inspiration to make that perfect day one to treasure. 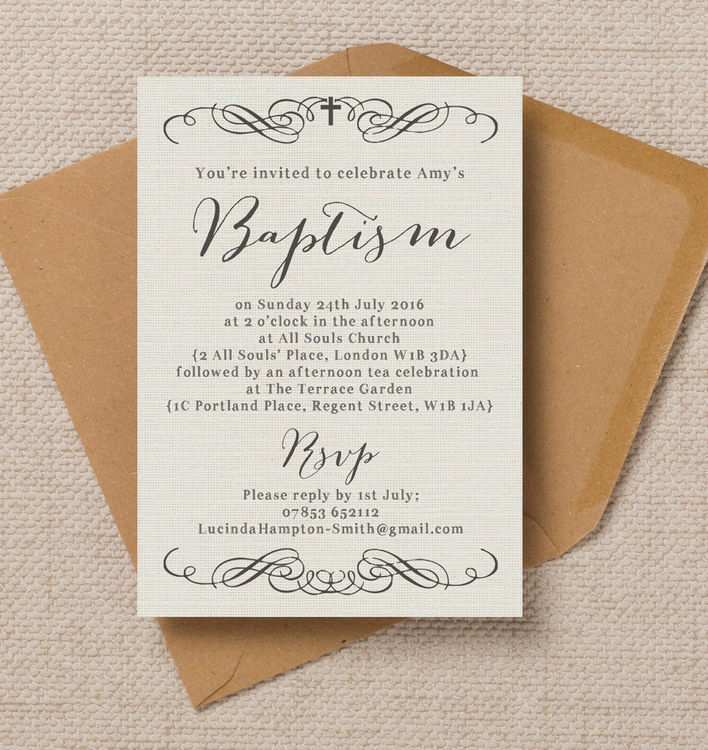 With an array of gorgeous themes and styles to choose from, our beautiful range of personalised christening or baptism invitations are guaranteed to get all of your friends and family excited for your little one’s celebration. So take a look at our top 10 to help you prepare! 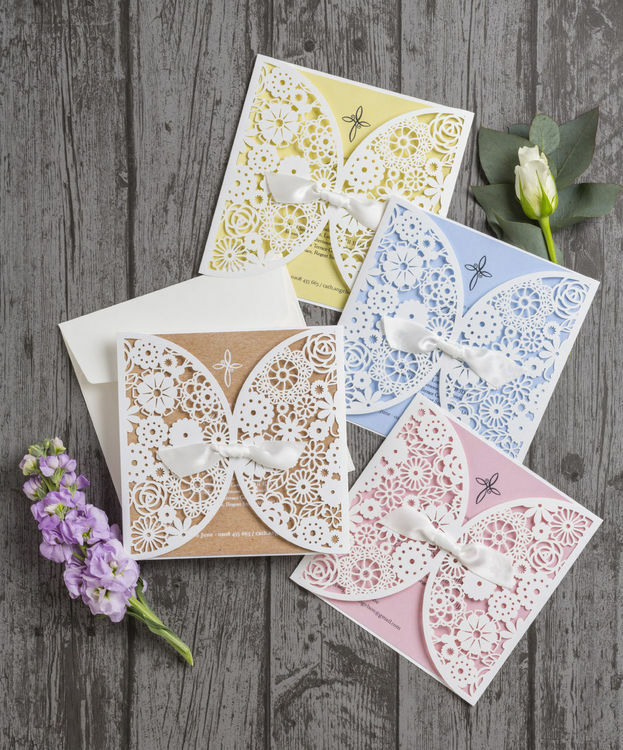 Beautifully reflecting a vintage theme, these lace laser cut invitations are a stylish way to invite friends and family to the christening or baptism of your little one. 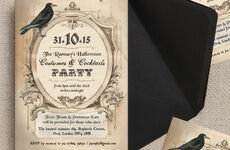 Featuring intricately cut square sleeves with lace floral detailing, the invites are complete with a satin ribbon finish. 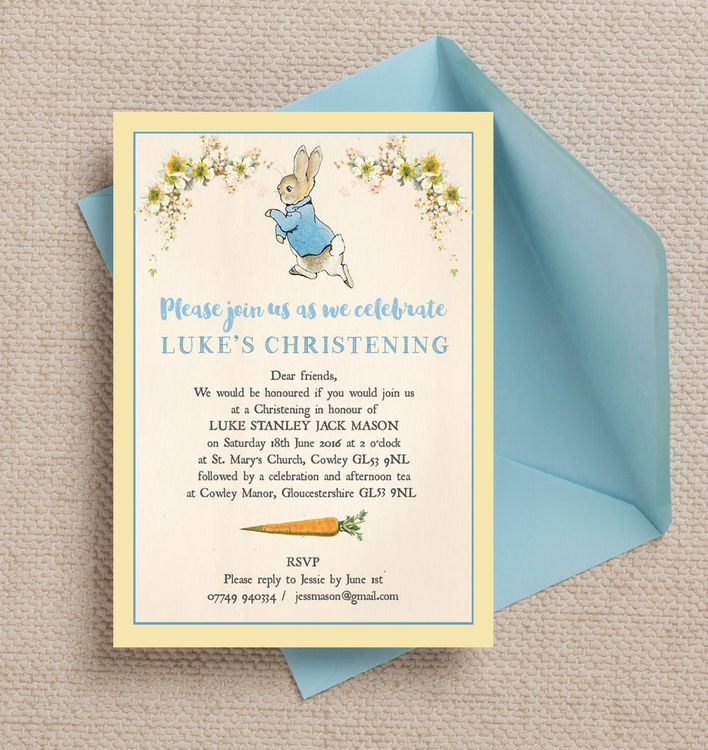 A popular choice from our collection, these christening invitations feature Beatrix Potter’s most famous creation - the adorable Peter Rabbit. 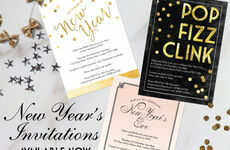 Designed with a vintage feel, the invites will truly set the tone for the day. Designed with a traditional English feel, these classic Teddy Bears’ picnic theme offers a unique way of inviting guests to your little one’s celebration. 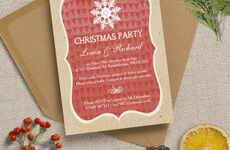 The design features a gingham pattern and the invites are available in three different colours. 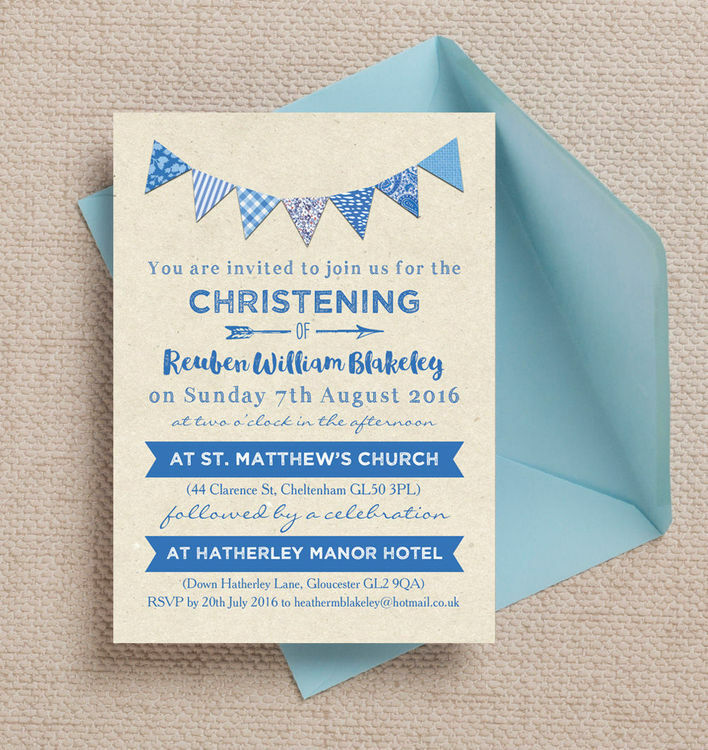 A perfect choice for your little boy’s christening or baptism, this design includes vintage bunting and a textured background. These christening invites are also available in a variety of fonts so you can create a design your guests are sure to love. 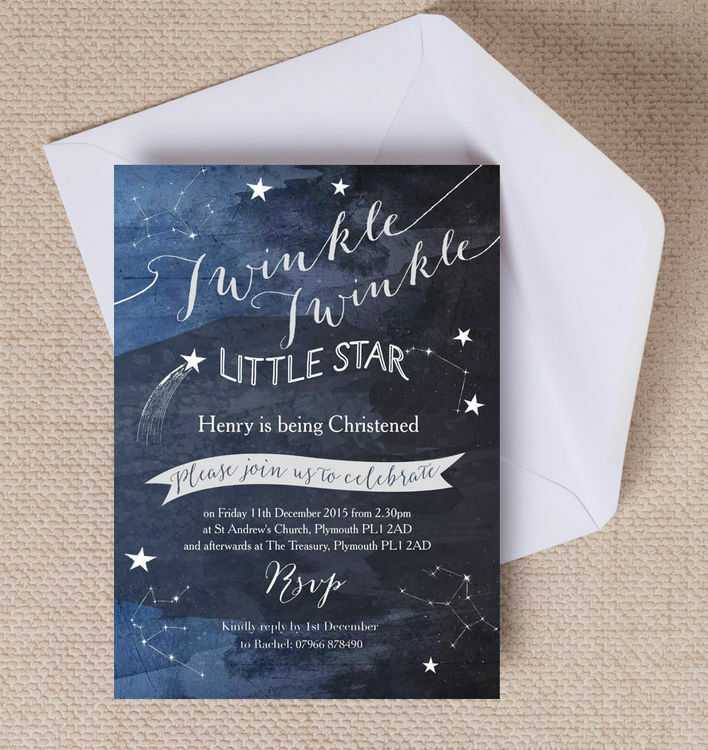 Taking inspiration from the night sky and the well loved nursery rhyme, this stunning Twinkle Twinkle Little Star theme features a star design and navy blue background. It is perfect for setting the tone for your special occasion. Offering a classic and timeless style, this vintage lace christening invitation includes a hint of rustic. Designed with elegant fonts, a white lace border and a kraft background, this invite is a great choice for both boys and girls. 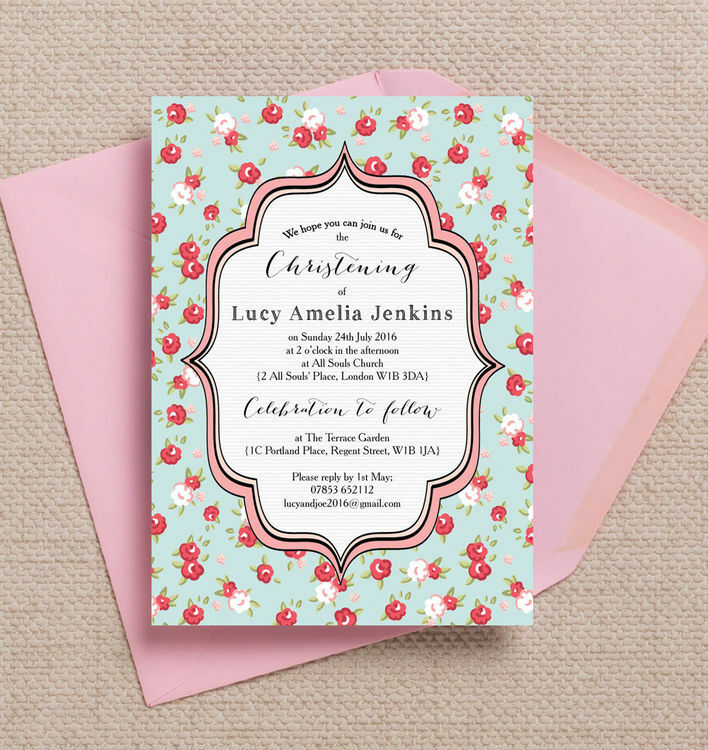 Eye catching and yet subtle, this floral christening invitation is simply beautiful for your special occasion. 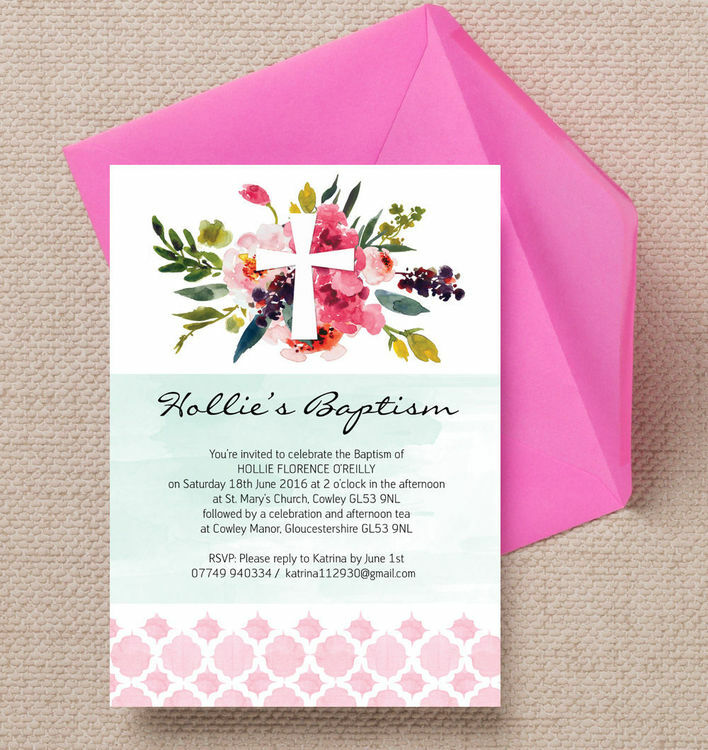 It is designed with a mint green and pink background with painted flowers around a cross which is great for a spring or summer occasion. 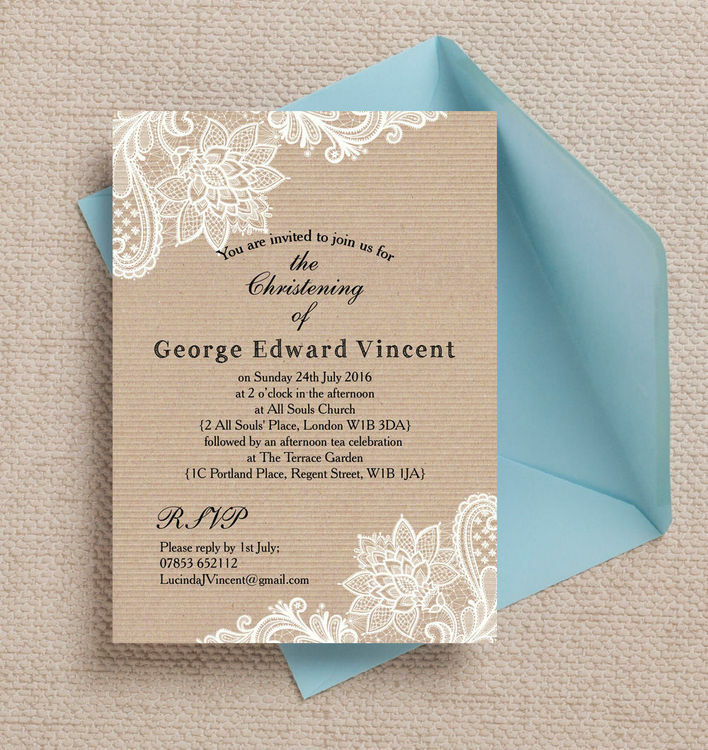 This personalised christening or baptism invitation features a vintage red rose design on a pale blue background. Perfect for a little girl’s celebration, the frame design will beautifully display all of the key information. Perfect for your little chap, this unique baptism or christening invitation features a Little Man design which your guests will love. 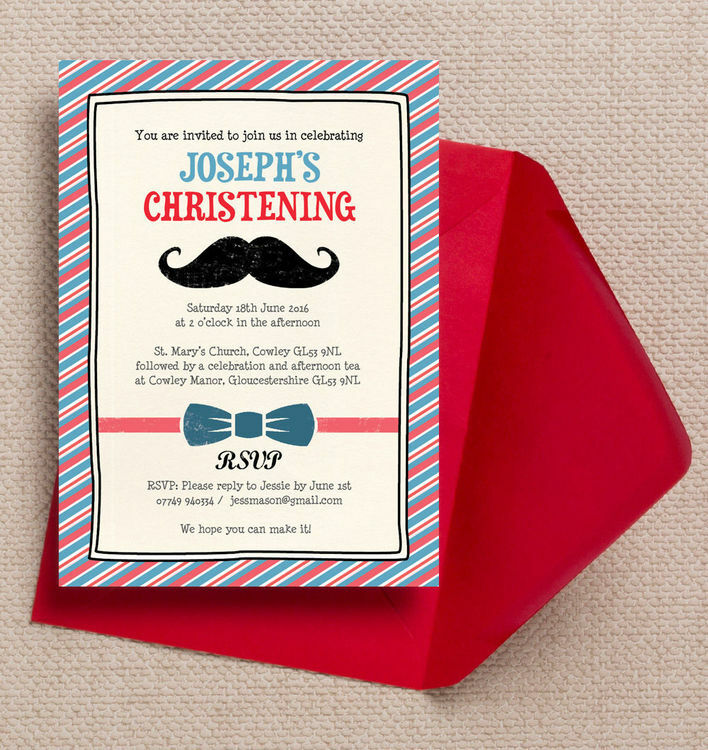 It is designed with a red and navy striped border, an illustrated moustache and bow tie. Made with a rustic theme, this christening invitation is finished with beautiful calligraphy font to display the key details. It features an elegant background and border to provide a stylish and timeless design which will delight your guests. With so many beautiful designs to choose from in our collection, your little one’s celebration is sure to be a truly special occasion. Don’t forget our stunning range of designs can also be personalised online and printed from home, or ordered and professionally printed. 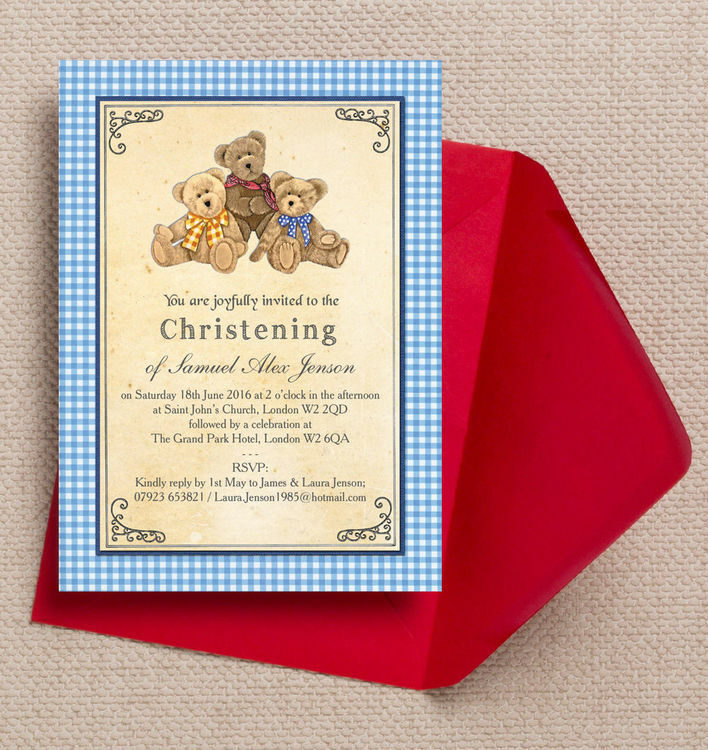 Browse the complete collection of christening and baptism invitations here.